Clark Airport (CRK), or the Diosdado Macapagal International Airport (DMIA), in Clark Freeport, Pampanga has become a major gateway for several international low cost carriers such as Air Asia (Kuala Lumpur and Kota Kinabalu), SEAIR (Singapore, Hong Kong and Bangkok), and Cebu Pacific (Hong Kong, Bangkok, Singapore, Macau and Cebu). SEAIR also flies from Clark to Boracay (it's the only airline that flies direct to Caticlan from Clark). There are flights to Incheon, Korea and onwards to the United States with Asiana. While Spirit of Manila will soon be flying to/from Southeast Asia (Bangkok, Singapore and Kuala Lumpur), East Asia (Taipei, Kaohsiung, Osaka, Hong Kong and Macau), the Middle East (Kuwait, Bahrain, Doha, and Dubai) and the Pacific Islands (Palau). It's less stressful flying to/from DMIA since there are not that many passengers yet. The problem is the airport is at least an hour away from Metro Manila. So how does one get to/from the Clark Airport to the various tourist destinations? Taxis from the airport can take you to Greater Clark (Clark Freeport, Angeles City and Mabalacat). But they're not cheap. Clark is a destination in itself, a culinary center and home to several golf courses, casinos and leisure estates. It's also a jump-off point for the Mount Pinatubo trek and the Mount Pinatubo Sky Tour. Also check out the Puning Hot Spring and El Kabayo. Plus there are a lot of hotels in Clark Freeport, Don Juico Avenue and Fields Avenue among many other areas. You'll never run out of things to do in Clark Freeport and Pampanga. To/from Metro Manila, Philtranco has direct buses to the Clark Airport that leaves SM Megamall five times a day (2:30am, 7am, 11:30am, 1pm and 3pm). You can also catch the bus from their Pasay and Cubao stations. To/from Pasay, the fare is PHP350, and to/from SM Megamall and Cubao, the fare is PHP300 (schedule and fares at time of posting). To/from South Luzon, from the Philtranco stations in Pasay and Cubao, you can switch buses to destinations in South Luzon, Bicol (Daet, Naga, Legazpi, Tabaco and Donsol), and even to the Visayas (Samar, Leyte and Panay) and Mindanao (Davao). Daet has a surfing beach, Tabaco has ferry services to Catanduanes, another popular surfing area, while Donsol is where you can swim with the whale sharks from November to May. To/from North Luzon, you can now hop on a bus from the Clark Airport direct to various destinations in North Philippines. Partas has regular aircon and VIP buses to Ilocos (Laoag and Vigan) and Abra. If you plan to go surfing in La Union or Pagudpud, or explore Vigan, you can take these buses. If you want to go to Baguio, Partas drops off passengers at the Sison, Pangasinan station of Victory Liner. Partas VIP buses from the Clark Airport to Laoag cost PHP600 and to Vigan cost PHP484. Genesis buses take passengers to Baguio City and Cabanatuan, Nueva Ecija as well. From Cabanatuan, you could find buses to Cagayan Valley and onward buses to Ifugao (Banaue). You can also get buses to the rest of the Cordilleras (Banaue and Sagada) from Baguio City. Update (03/10/2010): Clark Airport/DMIA claims to have a 24-hour direct air-conditioned jeepney/shuttle services to/from the Dau Bus Station and SM City Clark. It's Php45 for the Dau Bus Station, and Php30 from SM City Clark. But it seems many people say they did not see any. In case you miss any of these buses, you can always take a cab to the nearby Dau Bus Station where buses to various destinations in North Philippines and Metro Manila (Pasay, Cubao, Sampaloc and Caloocan) depart from. Sampaloc in Manila is the station closest to Malate where most of the budget hotels and backpackers accommodation can be found. In Cubao or Pasay, you could switch buses for other destinations north or south of Metro Manila. If you are bringing a car, you can park at the Clark Airport and catch your flight. Overnight parking is PHP90 for every 24 hours, and PHP30 for the daily rate. Philtanco schedule to/from Clark is Pasay-Clark 06:30, 07:00, 11:30, 14:30 (except Thursday) Php350; SM Megamall-Clark 07:00, 07:30, 12:00, 15:00 (except Thursday) Php300; Clark-Cubao/Megamall/Pasay 12:00, 13:00, 16:30, 20:30 (except Thursday). Philtranco numbers are (02) 8518077 to 79; (0918) 2288831; (0928) 4768203; or (0920) 7981422. There is now a free shuttle bus service for AirAisa guests from Clark Airport to Marquee Mall and vice versa. Buses leave Marquee Mall at 09:00, 10:20, 13:00, 15:00, 16:30 and 19:00 arriving in Clark Airport after 20 to 30 minutes. Buses leave Clark Airport for Marquee Mall at 10:00, 11:00, 14:30, 16:00 and 17:40. Another free shuttle is for Dau Bus Station, leaving Clark Airport at 21:20. For more information, contact Victory Liner at +63(2) 5597735 or info@victoryliner.com. Update (03/01/2013): Trinoma now has the Clark Airport Lounge. Buses leave for Clark at 03:30, 08:00 and 14:45; and leave Clark Airport for Trinoma at 07:00, 12:00 and 18:30.
is the philtranco schedule you posted from clark or from megamall? First off, great blog! I found this to be very informative in planning my trip to Manila early next month. This is a little out of topic, but I have a question... what would you recommend someone to do if they had just one day to explore Manila? I am arriving in Manila on the 5th and staying til the 8th when I will leave for Boracay, but realistically I only have 1 full day for touring Makati City (where I will be staying)/Manila as I arrive @ Clark airport evening of the 5th and doing a full day trek to Pinatubo on the 7th. How long is it from Pasay or Cubao to DMIA? @Leigh, depending on traffic, Cubao maybe two hours, Pasay maybe three. Thanks Ivan - the link you gave looks awesome! Where is the Partas (DMIA-bound) bus terminal in Cubao? Detailed please; Cubao is fairly messy. I'm not sure. I suggest you take the Philtranco bus instead since they're the most reliable being the first to do that service. A person needs to plan on at least 2-3 hours to arrive in Manila. To go to Baguio is about 6-7 and San Fernando is five hours. There is an expressway to Manila, however going north towards Baguio or San Fernando you will not go faster than 25 mile per hour. They want 350 for a Taxi to anywhere inside Angeles, while hte price of the same taxi in Manila would be 150 Pesos. Aren't there direct flights to Vigan? Tuguegarao is maybe 5 hours away. Inter-island flies Manila-Vigan. From Clark, it's 9 to 10 hours. A taxi will be too expensive. You can take the Partas De Luxe buses instead. Hi there Ivan. I would like to know if I can make it to my 11:45 flight if I take a 7am bus from cubao to clark? I will be taking Partas since it will be easier for me plus they also go inside DMIA (just like Philtranco). I appreciate any help since we will be leaving for Malaysia on Sept. 12. Thanks a lot! Depends on traffic. If weekend, yes. Weekday, since you have four hours to get there, yes unless something bad happens. Counters close exactly 45 minutes before departure. Does anyone know if it's safe to leave your car at the airport parking for a couple days? My wife and I are flying to Kota Kinabalu for a couple days. Does anyone know if its safe to leave one's car at the airport parking for a couple days? I left my car for 8 nights. It's relatively safe since they have a security guard. I am going to philipines via clark through airasia and arrived 1115am on Tuesday 29 Oct. After that I got to catch a plane at Terminal 3 Manila at 1715pm to go to Davao using Cebu Pasific. Do you think if i go by Philtranco bus provided by Airasia at Clark it will be enough time for me to go to Terminal 3? Or should i take the airport taxi? Photo finish if ever. I'm not sure about traffic. When you get off at Pasay, you still have to take a cab to airport. Thank God that I found your blog. My friends and I plan to go Philiphine next month, 4d3n. Landing at Clark, and we plan to go Manila. From what I read from your blog, you are quite familiar with Manila, could you give us a guide on where to stay and where to go and how to go? Btw, from what I heard from those "aunty", the says Manila is quite dangerous to go if you don't have a local people guiding your or u don't have a proper tour guide, is that true? Very appreciate for your help. Thanks in advance. Not true. Just don't act clueless. You can go around on your own. But I do suggest you try the walking tours of oldmanilawalks.com or celdrantours.blogspot.com. Affordable hotels are in Malate. Thanks for your reply Ivan. Is there anything to warn me NOT TO DO before I go there? Other than the oldmanila any other place that u recommend? hi! im planning to book a flight with tiger airways going to singapore, if the flight is 3:30pm is it okay to take the 11:30 am bus? and i'll be taking a big luggage bag with me, will there be an additional charge for such? Or is there any bus company with route going to clark airport from pasay or megamall? If, lets say i'll be asking somebody to drive me from pasay to clark airport, how long will it take? Flight is at 3:30 pm on a weekday. There's a Philtranco bus from SM Megamall. The 11:30 a.m. bus should be fine. That gives you 3 hours to get to Clark which is usually just 1.5 hours from SM Megamall. So you have another 1.5 hours allowance for traffic. my friend and i are coming from malaysia and will reach clark on 30/9. 1) where to get cheap halal food if i m to stay in friendly's guesthouse? 2) my flite back to malaysia will be at 11.45am on 2/10 (friday). can i make it on time if i to take a 7.30am bus to clark? or i have to take the 6.30am bus instead? 3) how long will it take to go from malate to central manila? n what's the cheapest but best way to go there? 4) gay clubs can be found mostly in malate right? how to go there from the inn? 5) is there any gay saunas nearby as well? 7:30 a.m. should do it. But if you can go for 6:30 a.m. to be safe, that would be better. Malate is in central Manila. A cab to Intramuros would be best since you might get confused if you try jeeps. But I'm sure the hotel can give you directions to most attractions. Hi! Our flight to HK is 730 in the morning in Clark. Aside from Philtranco Bus, what bus can take us to Clark Airport? Thanks. wasn't aware before of the convenient bus link between SM Megamall and Clark. @cristelene, I suggest you stay overnight in Clark if your flight is 7:30 a.m. unless you have a private vehicle that can leave Manila at 4:30 a.m. There are buses that leave Manila beginning 2 a.m. that pass by Dau. But getting from Dau to the DMIA at 3 a.m. is a problem. Maybe there are taxis but they will charge a lot. hi ivan! thanks. i just asked my friend to take us to Clark. hassle free. good job =) helping us out with different options. have a great day. i learned there are philtranco buses plying from the mall to clark. which area is the bus station located in the mall? thx. I'm not sure if it's still the ADB side. The mall guards should know. hi ivan,need ur help please.im flyin from hongkong to clark on the 24/12.i want to know where can i get a bus from clark to north(isabela,tugegarao,nueva viscaya) and how much will it cost me for the fare.thanks in advance and good day. hi ivan, great article. i'd like to ask about the parking. is it operated by DMIA (clark airport) therefore in the actual airport area no need to take another ride from parking to the airport? or is it privately-operated not by DMIA? my friends find it convenient to bring a car instead because of the unholy travel hours most airlines have but are also concerned on the security. It's the airport parking so you get a government receipt. It's right in front of the terminal building. So you just walk. do u happen to know if philtranco departure schedule from megamall is still the same as u mentioned above? two of which are 1pm & 3pm? the last time i used their service was last feb, & i will have to go there again tomorrow for my 7pm flight to macau. That's as of posting date. But it's best to call them for any changes. We'll be travel to Clark in april this year, going back to visit may wifes family in pangasinan. I've done some looking and found that there is a bus terminal in dau but we just not sure about connections to pangasinan we'll be going to anda near alaminos. my wife think's there should be buses, but it would be good to know in advance. If you could suggest something that would be great. look forward to your response. Yes, I think some of the buses to Bolinao pass by Dau. But before you exit the terminal, ask the buses there if they go to Bolinao since getting to Dau from the airport can be quite expensive. Ok thanks mate that Good to know. thanks for replying to my post on clark airport parking (distance from terminal). Hi Ivan. I've been to Clark twice (2004 was the last, I think) and have used the Dau exit. We'll be traveling again to Clark and would it be possible to use the SCTEX. Is it feasible and would it be faster? Yes, the SCTEX Clark South Exit skips the traffic. It's the first exit towards Subic. I am trying to get from Clark to Manila (MNL) on a 1pm flight on a Wed. I can't seem to find out when the first bus leaves Clark to Megamall then taxi to airport. Do you know? Philtranco is not answering and their posted schedule doesn't say when buses are leaving Clark in the ealry AM. 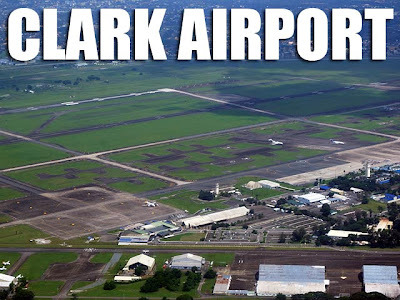 your blog is really informative, and thanks for sharing this particular info (how to get to and from clark airport). traveling is made easier because of helpful sites like yours.keep it up! I would like to ask about the jeepney/shuttle services from the Dau Bus Station, do you know which part of the station it is? I will be going back home on March 18,2010 and be back with the same airport.I'm always looking forward to have a cheaper way to go back to the airport. Your blog site is very very helpful. Thank you for making this wonderful site. I am just wondering. Is there a currency exchange office inside DMIA airport? What time does it open or close? If not, can you tell me where would be the closest one? Keep up the good work. Thank you very much! I think there should be one at DMIA and it's usually open while there are flights. The closest ones outside DMIA would be those along Fields Avenue. First & foremost, Great Blog!! I found this to be very handy in planning my 9days Philippines holidays in June 2010. Would appreciate your kind advise on how to travel to Baguio upon our arrival at Clark Apt. Planned 2nts @ Baguio, 4nts @ Manila and 2nts @ Boracay. Which countryside excursion is worthwhile partaking in Manila ie. Pagsanjan Falls, Villa Escudero or Taal Volcano/Tagaytay tours. I believe the above mentioned are full-day activity. Probably you could help recommend reliable operators for these tours. There are buses to Baguio at the airport. Do check if they require a switch in buses. If they do, you could also try the Dau Bus Station. Ask around for the shuttle. The day-trips to Taal and Pagsanjan are both good. Just watch out in Pagsanjan since the boatmen can be pushy about tips. Many thanks for your response...very informative. Would like to know if the set dinner offered in the Sunset Cruise by Prestige Cruises worthwhile or just partake in the normal cruise without the dinner? Also, we shall be flying from Boracay to Manila..staying overnite and waking-up early the next day to catch the morning Philtranco bus to Clark at 6.30am. Would you suggest if we stay overnight at Manila or near Clark? Appreciate your advise. were leaving for malaysia as a group for 5 nights. were seriously considering driving to clark as there are many of us. is it safe to leave the car there at 90 pesos per night( i mean does the airport security endorse this setup?. are thise parking spaces still available as the last post about it was 2009? thanks. i rally need the feedback. hi ivan, i looked for those jeepney shuttles at Dau Terminal yesterday and didnt find them... i asked but even the vendors didnt know, and suggested i ride the trike to the "sakayan" at Clark Main Gate. do you know where exactly is their station located in Dau Terminal? thanks in advance! Yes, I'm asking DMIA to look into it since the managers were confident they existed. I'll update everyone as soon as I have information. Thanks! I will be visiting Manila on June. I am taking Airasia from DMIA to Kuala Lumpur 11.45am flight. Wondering where should I take bus from and what time from Manila? I will be staying in Sofitel hotel, Pasay. have you tried the 24-hour shuttle from the dau station? i have to be in clark airport by 6am and will be travelling from baguio. We have a flight to catch at DMIA at 11a.m. Coming from Baguio, which bus and what are the hours of service available that would bring us to the airport on time. We would like to travel on that same morning if its doable. Thx. Not later than 12 midnight to be safe. You should arrive in Dau at about 5 a.m. Gives you more than enough time to get to the airport. The new aircon jeepney service is still running, though not 24-hour. It begins at 7am and ends at 8pm currently. The route is DMIA - Dao Bus Terminal and vice versa, with an intermediate pick up/set down at Main Gate Jeepney Terminal (next to 7-11). i would like to ask about the parking rates in the airport if is still the same as you have mentioned in your blog posted 2009? is still 90 php for 24 hours this year or is there any increase? thanks a lot and great blog! hi ivan, is there a bus going to subic from dau bus terminal and vice versa? how long will it take to reach subic? There are buses to Olongapo from Dau. That's as far as buses go. You'll have to take a jeep to Subic Bay Freeport from there. Great site with excellent info. Question: What's the easiest way to get from DMIA to San Juan, La Union? Are there buses directly from the airport or would I be better off going to Dau bus terminal? I am planning to go surfing there. Last time I was there, I took Partas bus from Manila. But this time around, I am planning to fly into Clark. Hi!Can I ask if there is shuttle bus/vehicle in Dau terminal going to Clark airport...We're arriving in hongKong on November 14, our departure time is 7am, is it ok if we gonna arrive in Dau terminal @ 6am? ?Thanx in advance!! I will be taking a 7AM flight to Hong Kong on Sunday. Would you recommend ways how to get to the airport from Subic at about 3-4 o'clock in the morning please. Thank you. any direct bus from Clark airport to Baguio? Five of us will arrive airport 3.30pm. Do I need to transfer from Sison to Baguio? If we arrive Baguio late, any jeep take five of us to guesthouse? 1. From Subic, that would be too early in the morning. I'm not sure what the Victory Liner schedule is from Olongapo to Dau. But from Dau, getting to the airport will be a problem as well. Not sure if cabs are available that early. Might be best to sleep in Clark the night before. 2. No direct buses to Baguio from Clark. Better to switch in Tarlac at Fiesta Terminal. Don't worry about jeeps in Baguio. Metered taxis there are very cheap and will be more convenient for your group. how i get to florida casa blanka pampanga if im from cubao or crossings? whats the best route to take? please reply. im going to leave this coming 9th of October for a family reunion. My flight will arrive at Clark at around 1 am in the morning. I figure I am better off finding a place to rest for the night before continuing on to La Union for surfing. What is my best bet for inexpensive and clean accommodation? Would Angeles be a good choice? Also, where would be a good place to exchange some money (US$)? I think San Juan or the towns nearby may be a little small and I may not get the best rates? At 1 am, I assume my choice of transport will be pretty limited? Ride a bus to Cubao, then switch buses to Batangas Port. That would take you about 4 to 6 hours. How to get from Manila to Clark for an 11am flight? Is the bus that leaves from Megamall at 7am gonna work? Hello Ivan, great site you have here. I have a flight flying into Clark (CRK) at 3:35 pm and have to be in Manila to fly out at 1:30 am. I'm pretty sure I've left myself enough time, but I was hoping you could suggest the most effective and affordable way to get to Manila from CRK? My family and I, who are based in Manila, are catching a flight to Singapore on Christmas Day and we were quite apprehensive about leaving our vehicle at the airport's parking lot for around 4 days. After reading your response to queries similar to ours, we have come to understand however that it is quite safe to park and fly after all. We are not familiar with DMIA and we are truly grateful for your helping people like us through this site. Happy Holidays! How long will it take to get to clark airport from dau bus terminal? Is there a transport terminal at dau where I can get transport that can get me to clark and vice versa and is it really 24 hrs.? Hi Ivan, we're leaving for KL on the 24th. How much are the fees that we have to pay like terminal fee and airport tax? Also, we intend to bring our car, is their parking the same as that in NAIA3, where it is usually full? What time should we be in the airport to make sure that we can get a parking slot also how much do we pay for 4 days and what documents do we need to prepare? Thanks a lot for your help! Is there a transport terminal at Dau where I can take to get me to Clark Airport? Where can I see it? I'll be taking bus from LaUnion to Dau going to Clark Airport, how much will it costs me? I heard from a friend that they charged each passenger P100, but if you're not willing to wait for other passengers, you can pay for the other seats, which costs P400, is this true? hi, i was wondering if how to go out from clark airport with affordable budget?, i mean, usually taxi ask for more higher rates even until main gate only. my arrival at DMIA is 1115am, will i possible can find a jeepney or bus at arrival terminal which is not cost me a lot? would like to ask too, if it's safe to walk from arrival terminal up to exit gate since it's looks like 300 meters away(5 minutes) walk..(to save more).. hehe...as when reach the exit gate of the airport can wait for public jeepneys which can bring me up to main gate with a very low and fix rates..
thank u for this very informative blog, may i know what is time schedule of the bus leaving from clark philtranco terminal going to pasay city, and cubao. thank you, im looking forward for ur reply. I am so thankful for your blog. I am now hopeful that someome can actually help us. We need your help. Me & my Family will be arriving at Clark at 11:45pm next wednesday(almost midnight). And we will be catching a flight in Manila at 7:40am on the next day. We only have roughly 6hrs for us to catch our flight. I am very much concern that we might missed our flight. If the shuttle/service is only until 8pm, I need to know on what we will do on our situation. Hi there! I am thankful that I found you blog. I'll be arriving at Clark from China at midnight. Is it okay to ride the shuttle to Dau Bus terminal and from there get a bus to manila? Thanks, I wanted to avoid staying in Clark for the night kase. Thanks thanks! thanks for the blog, hope we can travel safely to DMIA on the 28th of August..will take your advice re: dau terminal..
Ivan, How to go to University of the Philippines, Diliman from Clark Airport? What bus will take me to the Bataan area, in particular past Orion and onward to Mariveles from the airport? Information about that is rather scarce online, and I think Genesis goes that way, so I'm hoping you or someone else here could point me in the right direction. I am new to Manila, and I will be taking the Tigerairways flight from Clark to Bangkok at 12.35pm. Do you have updated schedules for the Philtranco bus? Where does de bus start? SM Megamall? would like to check if the philtranco bus to clark is still operating in megamall? where exactly? same schedule? HiIvan, great job! So clear info, thanks! Could u advise me, we arrive at midnight to Clark airport with tigers, is there a night bus to NAIA? We need to catch a morning flight from Manila. Hi guys! I haven't been to DMIA in a while. I'll have to check the latest bus schedules. I'll keep everyone posted. Thanks! Ivan hi, what's the affordable and wonderful hotel where me and my fiancé will stay? :) would love to enjoy romantic times with him...any recommendations?I'm so happy to have read ur blog...he will be arriving in Manila at 1pm from the airport which is convenient for him to come to Clark?does he have to go to SM megamall for it? Confused whether I should bring a car or take the bus going to Clark from Makati. I just dont know how safe it is. Anyone? What are the requirements that is needed to overnight parking? Do you need to tell those in charge that you be parking overnight for and for how many days? If I will be having overnight parking for 4 days , do I need to talk to the personnel in the parking area or I just park my car? Will I inform them that I will park my car for 4 days?What do I need to present them? You will need to inform the guard at the gate that you will be leaving your car. They will direct you to the payment booth where you have to prepay your parking fees (Php90 for every 24 hours). You will be asked to show a copy of the car registration. Then you return to the parking area and show your receipt to the guard who will lead you to the secured overnight parking area. When you return, you will have to show the same receipt to the guard to claim your car. You may also be asked to pay the day fee of Php30 if you leave beyond the paid 24 hours on the day you return. Thanks Ivan for the information, is the car registration xerox copy only? Hi Ivan, are there any cheap accommodations (1k-2K) near DMIA? I am thinking of getting a cheap accommodation near DMIA before our 12NN flight for SG. thank you for your very informative blog. we are arriving in Clark at 1am on a Monday and wondering if we can get a cab at that time to manila or even as far as Angeles Pampanga. we had no choice in the booking as a friend has to meet someone in manila Monday morning. hope you can let us know as we cannot change our flight details anymore. thank you again! Hi! are there any buses near the clark airport going to Baguio city? Need your helpful info please.. thanks..
i will arrive in Clark at 20.30 pm.Can i take the bus to Manila?Thank you. Just a quick question tough, are the bus schedules still the same? (Philtranco from SM Megamall to Clark to be exact). on august 2012, I have plan going to manila by air asia and landed at clark, acctually its my first time going to manila and I need u'r suggest, where and how that I can have a savely trip on manila ( a cheap hotel, and acomodation). I wanna to know too where and how I can found the great place for garmen shoping with cheap prices, and of course another places that have a great and must be visit when we going to manila. I have a friend who is trying to go to Nuevo Viscaya - can you please provide the best options - is it better to go into Manilla or Clark or does it make a differnce..? Just looking at the best option for a friend who is going from Hong Kong to Nuevo Viscaya -Does it matter if you go into Manilla Airport or Clark? What are the rough travel distances and cost? my prior question I forgot to mention it is Kasibu Nueva VIscaya where my friend we be travelling to either from Manilla or Clark International airports. For bus to Nueva Vizcaya, best to get one from Manila. Take a bus from Clark to Cubao and change buses there. Thanks for your help.I will be taking Clark airport going to Macau, correct me if I'm wrong, from what I understand the Philtranco buses that we can take from cubao will take us already to the airport.I have a question , we are arriving almost 12am already and we are from manila, what is the earliest bus we can take to go home and can we hang around the airport till we can safely take a public transport?Thanks again for your help. We are traveling from Clark Airport to Macau on Christmas Day. Do you know if Philtranco operates on Christmas Day (25th Dec) from Manila to DMIA? 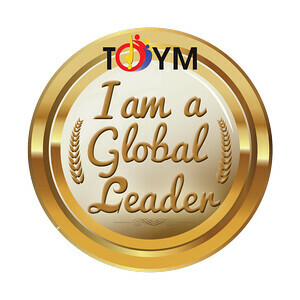 We tried to contact the company several times via @-mail without any luck. Taxi would be our second option. Plz drop me an e-mail to markus.alopaeus@helsinki.fi if you have the time and the knowledge. Tnx in forward. June, yes it's a bit expensive. I'd say Php4000 to 4500 would be just right for van rental. Another option is to take the Philtranco bus to SM Megamall and get a cab from there. But your bus fare alone would be half the price of a van rental. So might as well rent a van. i just want to ask if there is any bus tha i can take from DMIA to mla at 12am. Because my arrival time is 23.40. Thanks and good job congrats. I just want to ask, if there is any available transpo at 5AM from San Fernando going to Clark? My flight is at 7 AM. Annie, Php4,000 car rental for 6 hours might be a bit pricey unless it includes a guide. be the earliest Philtranco bus that is leaving for Manila. Hi, I'll be arriving in dec.24 at 8pm. Are there shuttle buses that are operating on the said date knowing that it just 4 hours before noche buena. I will be going to Northern Luzon and it's my first time in DMIA so i've searching about some tips on how to get to dau bus terminal where i can get a bus going to Ilocos. Hello Ivan! Hope you and family and friends are safe and well. You seem to be the most knowledgable out there. My friend and I land at Clark at 11pm and are headed for sabang in peurto galera the next day. What's the cheapest/easiest route? Really, do buses run over night and can we get directly to batangas port from Clark? Thank you so much! hi, we are taking a 7am flight to hongkong on jan. 13. what time is the earliest trip of the aircon jeepneys from dau bus terminal to the airport? please reply asap. hi...my sister will arrive in clark airport at 11:40pm from singapore,is there still a bus going to manila that time? i just want to ask how can we get to DMIA by private car. By the way, we're from fairview, Q.C. and one more thing, is it safe to leave the car in thier parking area? just want to ask if it safe to take shuttle or jeep from clark airport at 8pm going to bus terminal for a blonde travelers? and howmuch for jeep or shuttle? from diosdado macapagal airport to subic, what are we going to ride? how much is the fare? thanks. My friend and I will go to Subic via Clark this Feb. I wanted to know what's the best (inexpensive and safe) traspo we need to take. How much is the rate from Clark Airport to SBMA? van, from the airport to dau bus station, is it far? what are we going to ride? how much is the fare? how long is the trip from dau bus to subic? is there a trip around 8pm going to subic? I am from Negros and first time in Manila, My sis and I will be going to Bangkok. Cebu Pacific are already fully book from Bacolod to Clark nor from Cebu to Clark. So we will going to land in Manila from Bacolod. How can we get to Clark Airport from NAIA? i have a 7 something am flight to hkg. i am planning to stay in xevera day before the flight. how far is xevera to dmia/and what mode of transport can i take??? how can we get to DMIA? from tarlac, which bus do we need to ride.how long the travel would be? and how much is the bus fare? i need to be in DMIA at 5:00 am. hope to hear from you very soon..
Hi Ivan! I am from Pampanga, and I am coming from San Fernando, will go there via NLEX, will take Dau Exit right? Can you tell me the directions from Dau Exit? I'm not quite familiar with the places inside Clark, will I be passing Mimosa? Someone says the airport is near UPS hub. I don't know where UPS hub is. Kindly help me. Thanks! Hi Ivan, ask ko lang if may bus from Clark airport to cubao? at anung bus company. Maybe you know how much also. First timer ako sa Clark airport. Thanks! im natasha from malaysia,21 y/o.Planning to visit philippines around june or july this year for 4-5 days.Got several questions need your help. 1.i will be taking airasia to clark airport.Wanna know what the latest airport taxes (all taxes) will be charges on me when im arrive?! And the taxes i need to pay when im depart from clark A.P back to malaysia? 2.The latest fares for direct buses to manila from clark A.P still remain the same?About the schdule and waiting point?And how long does its take to reach manila? 3.any good recommendation of lodging for 1 person at manila or quezon city? budget within PHP1300-PHP2000. for 3-4 nights stay. 4.when im in manila or quezon city.. it's convenience to take buses/mrt to places of interest?? how bout those fares? 5.rarely what the budget range i need to prepare for all expenses will spend in manila/quezon city for the 4-5 days?Like food and beverage, transportation, and etc..
6.it is everywhere got currency exchange? me & my kids (aged 5&6) have also early (7am) flight to HK & i'm thinking of taking philtranco in cubao last trip (4pm) the day before the flight since it goes directly to clark airport. Prior to that idea, I have inquired that there are buses going to Dao for 24hrs (alongside victory liner in cubao) but needed to take one ride via jeepney to clark airport. This was my first option to leave cubao at 11-12midnyt for our 7am flight the next day. But thought twice since I have my 2kids with me and thinking of our safe trip. it's our first time to travel to Clark airport and not really familiar if there are 24hrs jeepneys in DAO going to clark airport. So I think I prefer the Philtranco bus which goes directly to Clark airport. But due to long waiting hours (almost overnight), i need other suggestions like nearest inn to stay overnight or if there are a better place for us three to stay while waiting for our flight. Is it advisable and bearable if we stay in the airport waiting for our flight? Thank you! I really appreciate and looking forward for your response. need your advise for the best suggestions for the best possible ways for early (7am) flight from Clark to HK if we are to ride bus from Cubao. I want to visit the rice terraces, is there s short way of going there, like take it by plane? i will have a flight on april 4 to cebu and my flight is 720am i have noticed that philtranco from manila dont have trip as early as 3am, the first trip is 4:30 if im going to ride the first trip it is possible to catch my flight at 7am? I've been getting a lot of questions about the 7 a.m. flight. Taking the 4:30 a.m. Philtranco bus should get you to Clark Airport by 6 a.m. Barring any delays, that will be get you in time before the check-in counter closes 45 minutes before the flight. Closest airport to the Ifugao Rice Terraces is Cauayan. Flights are from Manila. From there, take a bus to Solano and van to Banaue from there. What is the earliest philtranco from pasay to cark? Is there before 4:30 a.m. Philtranco bus should get you to Clark Airport? hi there, may i ask if you know how much is the terminal fee for domestic flight (clark-puerto princesa flight, vv)? travel tax? first of all thank you for your information those are helpful. i have a questions po. i will be taking 11;30 flight on Thursday April. according to the scheduled of Phil-con, there are no bus going to Clark on Thursday. so can u please suggest me how can i get there? Since i am not Filipino and i will go there alone, can u please help me try to get safest ways for me to get there on time? clark on a thursday. but it says that there's no trip on thursdays. so is there Any alternative ride going there? thank you so much. your an answer to my queries. hi ivan, i just want to ask... is it have bus from manila (from pasay at LRT G.Puyat station) go to clark? or only must ride in megamall? Just want to know if the secured parking area is a covered one or an open car park. What are the procedures for obtaining one? Thanks for a helpful blog. I just want to ask if the airport secured parking area is a covered or an open one. It's an open one. Just mention to the guard that you'll be parking your car overnight and they'll give you instructions. Hey man. Thanks for the blog. I land at Clark at 4 a.m. and I want to book a flight out of Manila the same day. If I book a flight out of NAIA at 10:45, can I make it? It's on a Sunday so I hope traffic could be lighter. I could also book a flight at 3 pm, but it's more expensive and I don't want to be stuck at the domestic terminal at NAIA for hours. I had a not so good experience at CLARK airpport (DMIA). Firstly,the mode of transportation going inside the airport is so expensive. From the main gate of Clark to airport the Jeepney driver asked from us 500 pesos, I automatically rejected his offer. I asked the taxi driver he asked 350 pesos, without other choice I took the taxi. The distance from the main gate to airport is not so far, so 350 is still expensive. I just wondered why there taxi don't have a meter and a flag down?isn't it violating the rules?taxis should be metered right? and "pakyaw" system is not allowed, right? Thanks for the great blog post - I didn't know the long term parking was so cheap on the daily rate! im from baguio , and im having my vacation this june 26,2012 5:15pm (check in time) .what bus should i get ticket in order to go in CLARK airport..thank u!! Hi Ivan! You have a very informative blog. I plan to go to Manila through Clark via Air Asia but i want to stay in clark for one night just to roam around. Any suggestion of a couple of things to do and also a cheap hostel just for a night? Thanks! Hi! thanks for your blog! i saw this when i was helping my brother in planning his trip to SG back in 2009.. he arrived in DMIA with no hassle at all because of your tips.. and now that i need info for my own trip, its good to know that this blog is still here and is up-to-date as well..
Is there still the 2:30 am Manila to Clark bus? I ask because we have a SEAIR flight to Bangkok at 7:25 am.